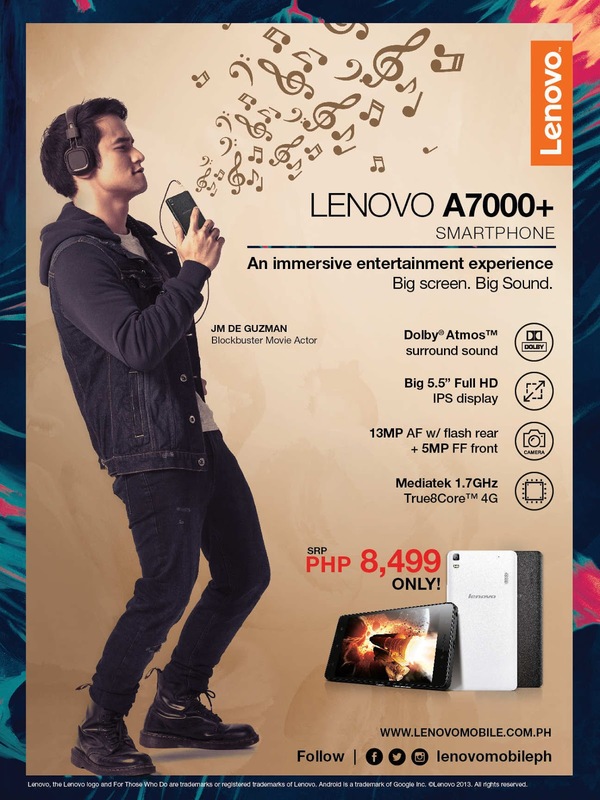 Once an exclusive offering through a partnership with Lazada Philippines, the Lenovo A7000 Plus will be available at Lenovo retail stores and resellers nationwide starting October 15, 2015. For an amazingly affordable price of P8,499, users can enjoy smooth performance, a brilliant 5.5” screen in glorious Full HD, a 360-degree audio experience with Dolby Atmos technology, and true-color cameras. The Lenovo A7000 Plus boasts of a large, Full HD 401ppi IPS screen, which allows users to view videos in two million pixels from all angles. Couple this amazing display screen with Dolby Atmos surround-sound and users can enjoy a fuller audio-visual experience wherever they are. The Lenovo A7000 Plus is now available at Lenovo Mobile Exclusive Stores and authorized retailers nationwide at Php8,499, bundled with a free screen protector (worth Php299) and a free back cover (worth Php599).